Ahh, french fries. Is there anything as glorious as a pile of crispy, salty potatoes to accompany a burger or satisfy a snack craving? We think not. 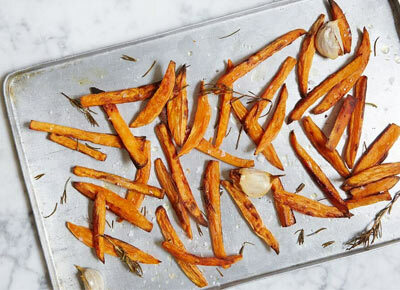 Here, five of our favorite oven-baked "fries" recipes, from sweet potatoes to green beans. Super crispy--no deep frying required. Crispy, salty and perfect for dipping. Forget hummus. We've discovered the tastiest way to eat chickpeas. OK, these are technically not fries. But these crispy baked chips will have you forgetting all about them.